A peculiar characteristic of these dances was the movement jumped, often accompanied by musical instruments like tambourines and cymbals or veils. The dance in Roman culture, often inspired by the Greek, was linked to rites or the great feasts in honor of a god, such as in the Dionysian rites or in the Saturnalia of ancient Rome. There were dances comic, tragic, satirical and pantomimes. Some of the crowd were dancing, wild and promiscuous with which the people are freed from the burden of poverty or a difficult life, days and days of festivities where the body, movement and dance were so prominent leaders. 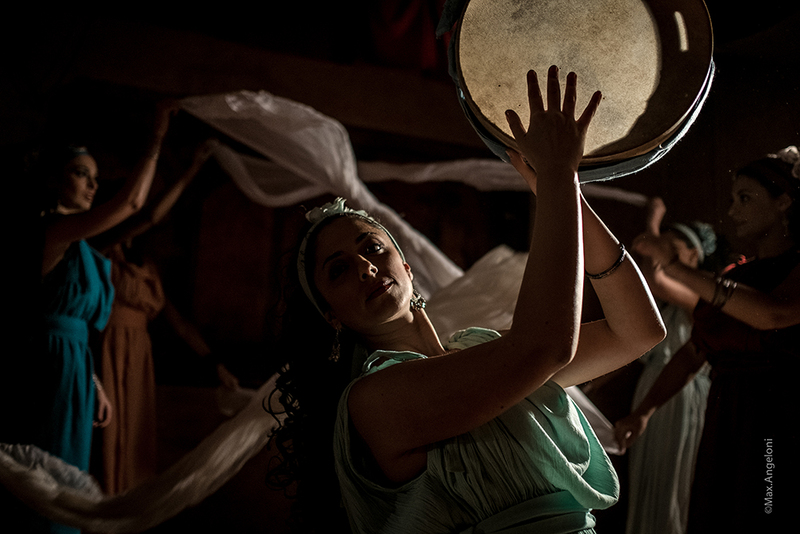 A characteristic of Roman dances, which can be seen as representations by frescoes and bas-reliefs, is the movement skipped, sometimes accompaniedo by musical instruments like tambourines and cymbals or veils. Dance schools, in fact, took the name of “ludi saltatorii.” The “jump” finds its origin in one of the oldest and most noble of the dances, one of the Priests “climbed”, which performed in honor of the god Mars, the “Tripudium”, characterized by a march just three steps skipped.